I like sweet tea. Or, as we call it here in Georgia, tea. The only problem with sweet tea is the Calories. But that's both bad and good. It's bad, because I don't need to be taking in as many Calories (or kilocalories, properly) as I do. But it's good, because the more Calories something has, the better it tastes. Usually. Anyway, I like sweet tea. I like really sweet tea. Tea so sweet that if it was a little bit thicker, you could pour it over pancakes. That's how sweet I like my tea. Only, I really do need to lose some weight. Which means I could drink something else, like water, or unsweet tea. But I don't like unsweet tea. I like water, but sometimes you want some flavor in your drink at the table. So, I thought, I could do unsweet tea and put a sweetener in it. 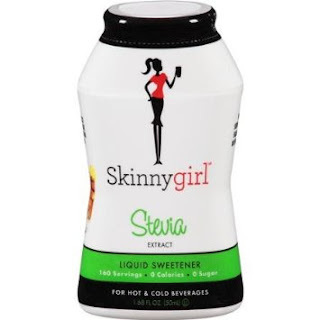 And, the only sweetener I really like -- actually, don't intensely dislike -- is sucralose. 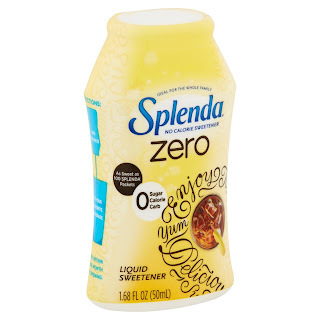 The most well-known brand of which is Splenda. Basically, it's sugar with a chlorine atom attached, so you body passes that poison right through. You get the taste, but not the Calories. At least, that's the theory. The thing is, I don't like the powder, because it never works right. I mean, if you take a little bit of hot water and dissolve the Splenda in that, it's fine when you add it to your drink. Yes, I've experimented with this. But that's not always the easiest way to do it in a restaurant. It does a pretty good job, and I've used it recently. I carry it around in the pocket of my blazer, so I would order unsweet tea, then pull it out and squirt some of the sweetener in. A little stirring with a straw and it's done. Tastes okay. Then I went and left it on the table at a Huddle House. Yes, I will eat at a Huddle House. Shut up. Their omelets are pretty good. Anyway, I went back later, but they already threw it away. Thing is, Splenda liquid is hard to find. At least, around here. In fact, I've only found it in the Walmart store in Perry, Georgia. I'm sure it's in other places, but I don't know what those places are. Around here, the grocery stores -- and Walmart stores -- carry other stuff. Like Stevia liquid stuff. It ain't the same thing. And I don't like it. But, it'll do until I get some more Splenda liquid. Or, I may just decide to stay fat. That's always an option. I've decided to go with sugar. The body knows sugar; the body likes sugar. It's not really poison. By the way, I figured out why I failed the first "prove you're not a robot" capcha challenge: my ancient computer (1) cut off the top two lines of the challenge, so all I saw was the word "left" on the third line, and didn't know to scroll up to see the intro to the challenge; and (2) the images of street signs were so tiny I couldn't see whether they had left arrows or whatever. I passed the next challenges when I figured out these problems.